Exquisitely furnished and decorated by renown Tucson designer Lori Carroll. 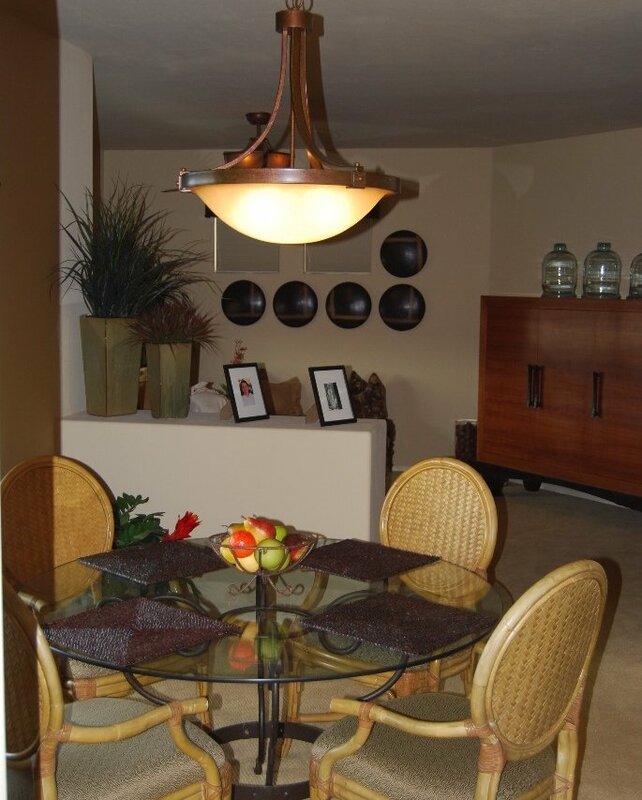 This second floor condo is located minutes from La Encantada, and other upscale shopping and dining establishments, and world-class golf courses and resorts. 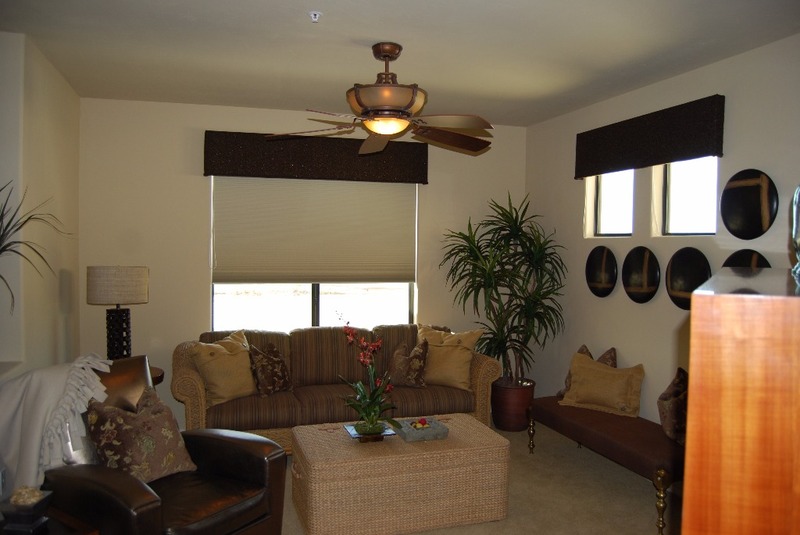 The gated community area includes two swimming pools with relaxing spas plus a clubhouse with fitness center. 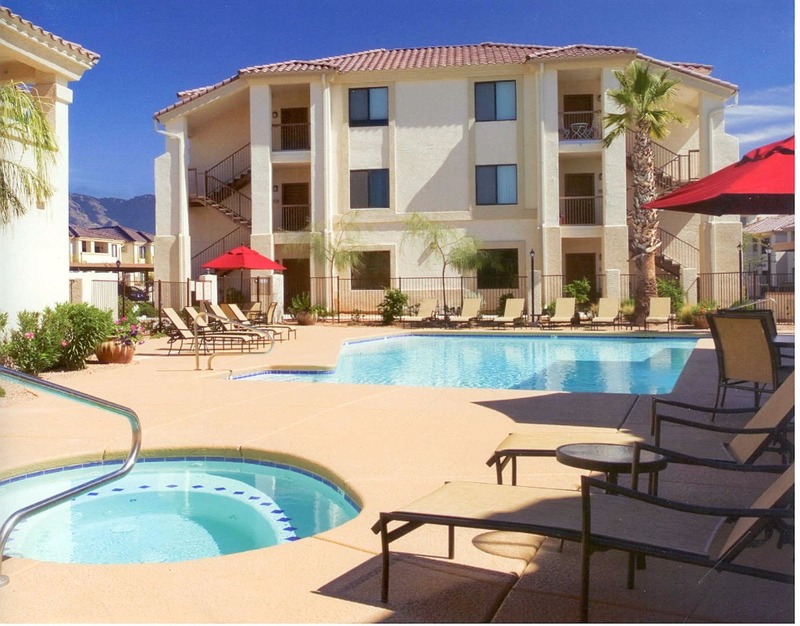 Located along the scenic Rillito River, the spacious balcony provides beautiful views of the river walk and the city of Tucson. Museums and other points of interest around Tucson include Arizona-Sonoran Desert Museum, Pima Air & Space Museum, Tucson Museum of Art & Historic Block, De Grazia’s Gallery in the Sun, Flandrau Science Center & Planetarium, Biosphere 2 Center, Kitt Peak National Observatory, Tucson Symphony, Arizona Opera, Arizona Theatre Company, and Old Tucson Studios . 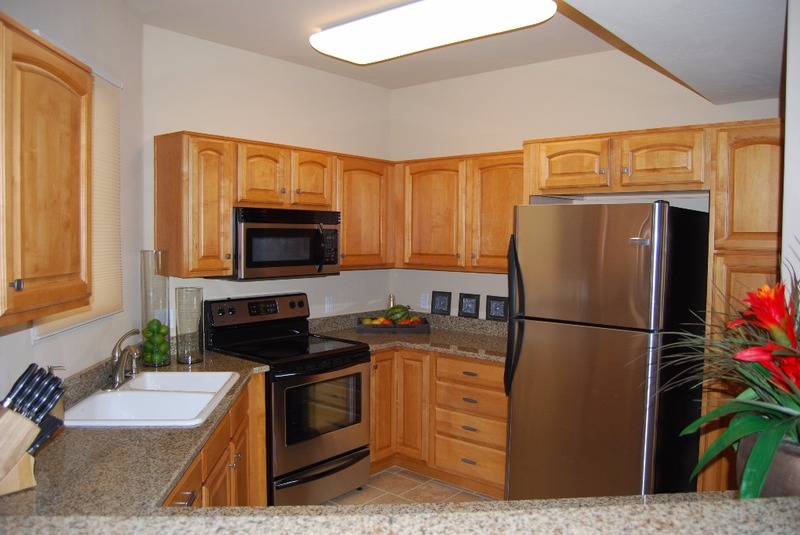 The unit has WIFI Internet access and cable television. Comfort: With one of the principals being a professional interior designer, this comfortable home is the perfect blend of contemporary sophistication and southwest serenity. Once you cross the foyer, you may never want to leave! Furnishings: High-end amenities are evident throughout this spacious rental and beyond. Even though there are great restaurants nearby, the kitchen is a culinary delight complete with everything you need for preparing a leisurely breakfast on the balcony or a candlelight dinner. 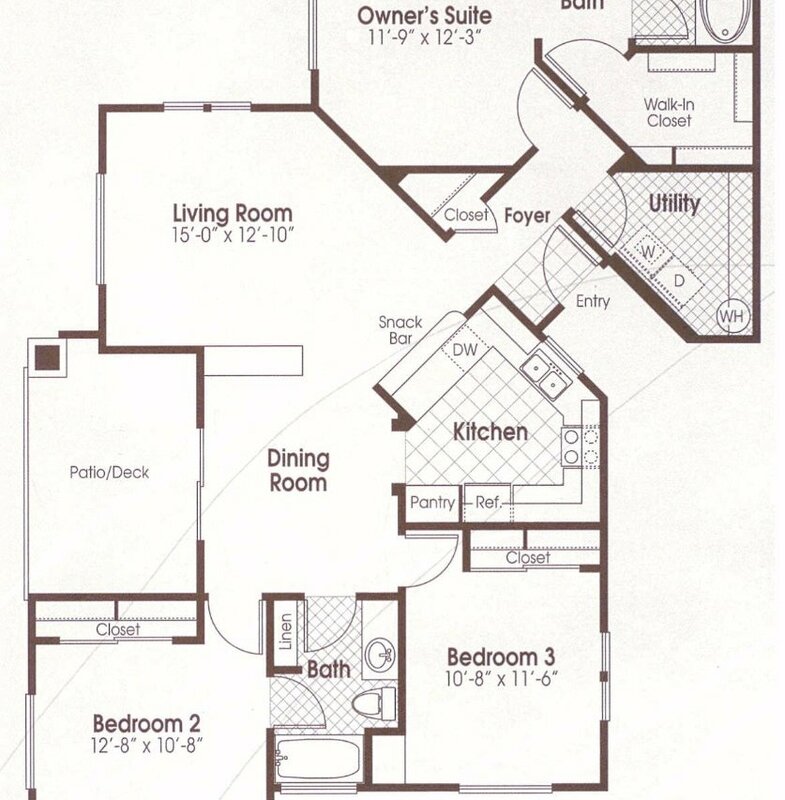 The split floor plan offers the tranquility of a secluded master suite on one side and a cozy queen guest room and bath on the other. In addition to an efficient day bed, the third bedroom includes a large desk, ideal for setting up a temporary office while you are away. 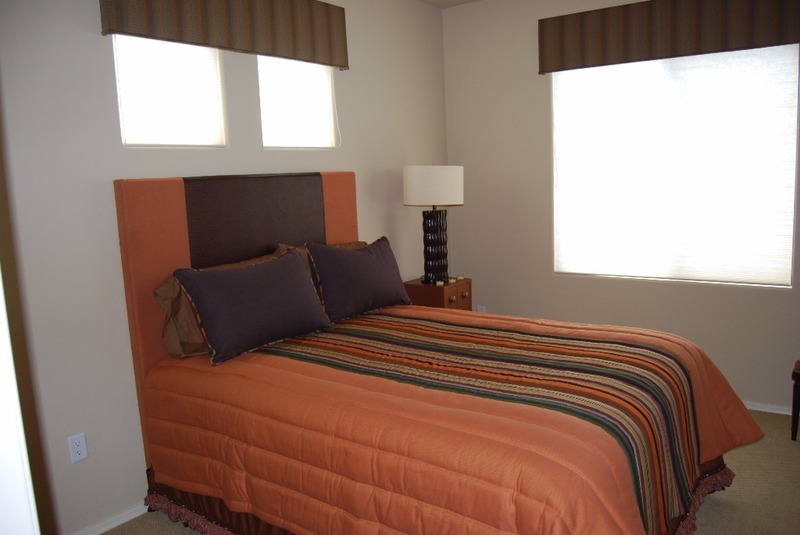 Exclusive furnishings, luxurious linens, and fluffy towels are reminiscent of the areas posh resorts. Even a full size laundry room is an unexpected bonus in this well-appointed condo. Surrounding Area: Tucson is famous for its spectacular sunsets. 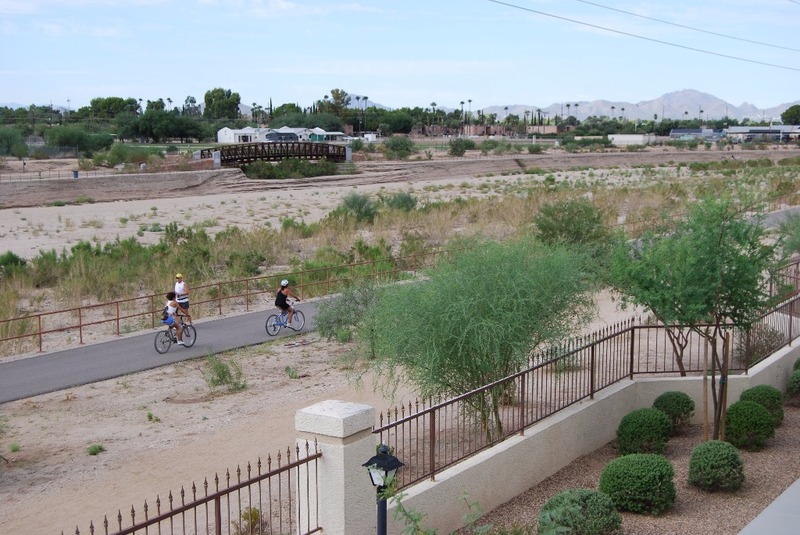 With the property located adjacent to the Rillito Riverwalk, imagine taking an evening stroll or biking along the paved path just beyond your front door. City, desert and mountain views also surround the property for the ultimate Tucson experience. 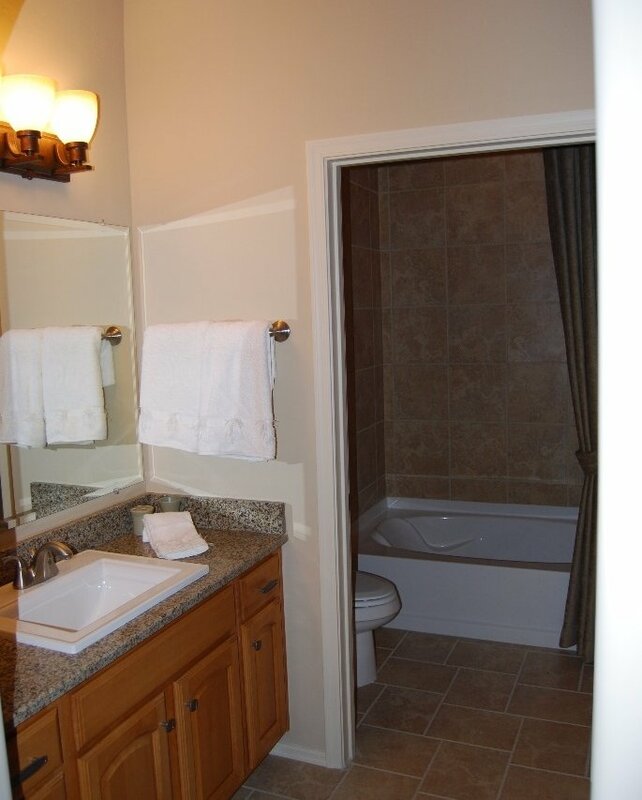 Among all the comforts of home, I know you will appreciate the care and quality we have invested in these accommodations to ensure your visit here is memorable. Just South of the intersection of River Road and Hacienda Del Sol Road. Security Deposit: A damage/reservation deposit of $250 is required. This must be received within seven (7) days of booking the reservation. The deposit is refundable, less a cleaning fee, within (14) days of departure, provided that no damage is done to the unit or its contents, beyond normal wear and tear. 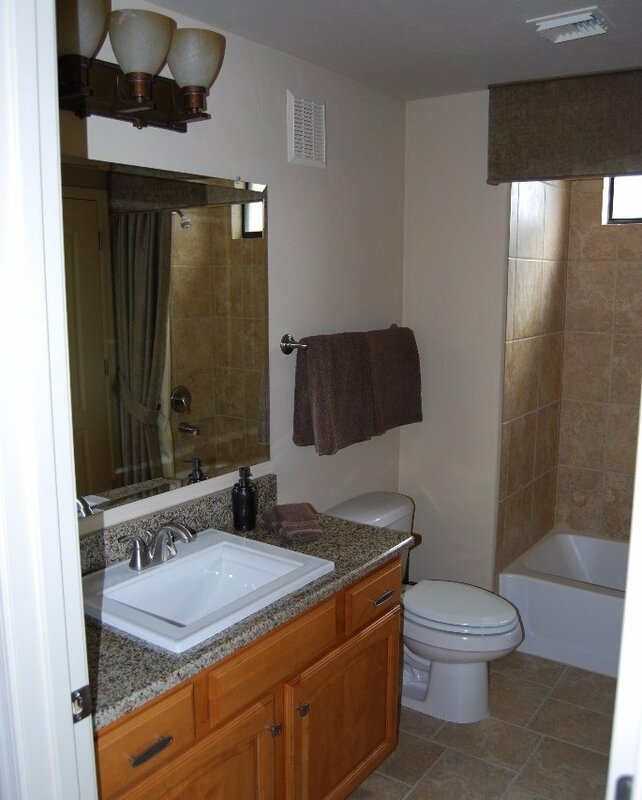 The cleaning fee, based on hourly rates from a third party, is typically $175. CANCELLATION. If your plans change please let us know as soon as possible, and we will attempt to rent the unit to another party. Your deposit and advance rent payments will be refunded to the extent that another party rents the unit on the same terms, less an administrative fee of 10% of the Total Rent. 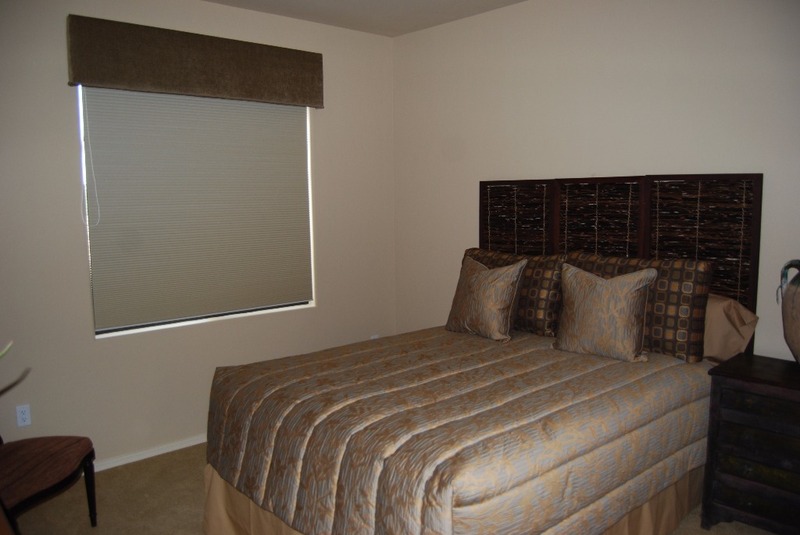 Cancellation or early departure does not otherwise warrant any refund of rent or deposit. USE OF PREMISES. The Premises shall be used and occupied only by Tenants unless permission is obtained from Landlord. Tenant shall not allow any other person, other than Tenant's immediate family or friends who are guests of Tenant, to use or occupy the Premises without first obtaining Landlord's written consent to such use. Tenant shall comply with any and all laws, ordinances, rules and orders of any and all governmental or quasi-governmental authorities affecting the cleanliness, use, occupancy and preservation of the Premises. PARKING. Vehicles are to be parked in designated parking areas only, one covered parking space is provided. Other unassigned uncovered parking is available if needed. WRITTEN EXCEPTIONS. Any exceptions to the above mentioned policies must be approved in writing in advance.